CNN Temporarily Wins Suit For Jim Acosta's WH Press Credentials On Due Process Grounds, Case To Proceed - Joe.My.God. 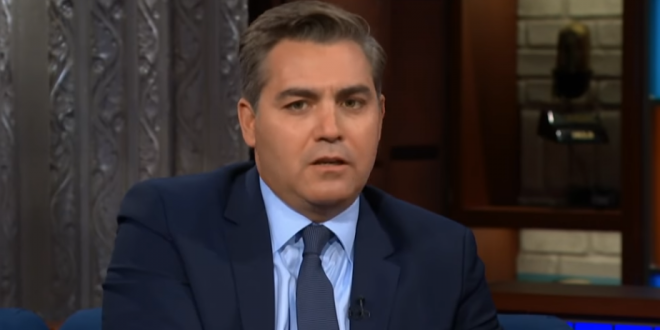 A federal judge on Friday directed the White House to restore the press credentials of Jim Acosta of CNN, a win for media advocates and news organizations in a major legal test of press rights under President Trump. The ruling, from Judge Timothy J. Kelly of Federal District Court in Washington, was viewed as a victory for journalism and a timely reminder of press freedoms that advocates say have recently come under threat. Deputy Assistant Attorney General James Burnham, a lawyer for the administration, argued on Wednesday that Acosta had been disruptive, and the administration had a legal basis to vet reporters given press passes and bounce those they feel act disruptively. Judge Kelly agreed with the plaintiffs that the White House did not give Acosta due process by simply having a Secret Service officer demand his hard pass without any prior notice or opportunity to respond. The lawsuit still continues, and it remains to be seen whether the final outcome of the case will be consistent with this ruling. In the meantime, however, Acosta will be able to continue reporting from inside the White House.